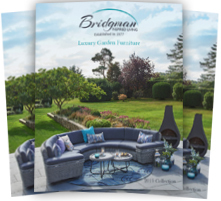 Now with 5 showrooms and a curated selection of retailers, Bridgman continue to innovate and shape the UK’s home & garden furniture industry. 2017 marks our 40th birthday and we’re still as passionate today about quality furniture as we were back in 1977. 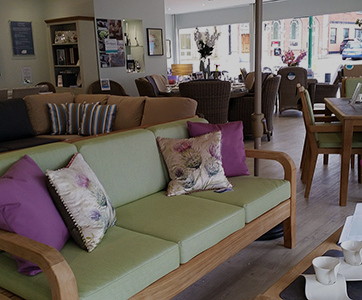 For us design goes far beyond aesthetics, a well-crafted piece of furniture can transform your space and allow you to maximise the time spent relaxing or entertaining in your homes & gardens. This year we have launched our latest 2 collections ‘Evesham’ and ‘Lodge’ as well as a signature piece to celebrate our 40th – The Jewel – a standalone day bed with a limited edition run of 40. 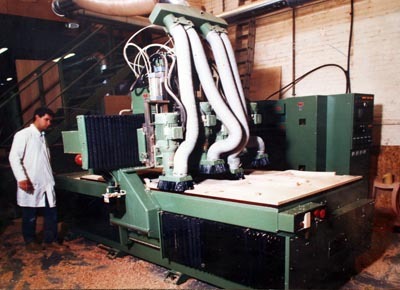 In 1977, Peter Bridgman followed the footsteps of his father into the furniture industry and set up a workshop in North London to manufacture quality British furniture. Bridgman, as the company was named, crafted its reputation around 3 core values that still live on to this day; quality, design and comfort. 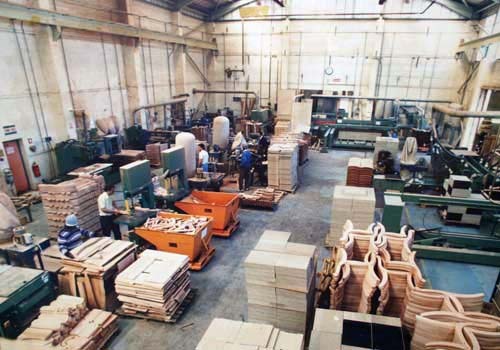 We quickly established ourselves as a leading supplier of reproduction furniture in the late 1970’s and in 1980 Howard Barnett joined Peter as a co-director in the business. 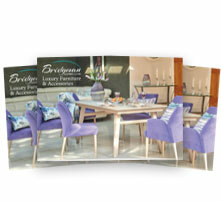 In 1987 we launched our first collection of luxury garden furniture. 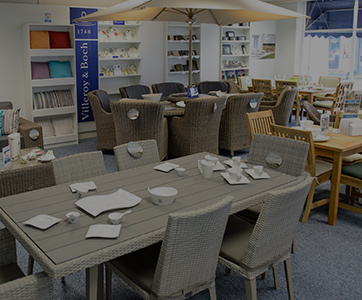 Our in-house designers and advanced production techniques allowed us to fill a gap in the market and saw us become the first UK Company to decorate wooden outdoor furniture with ornate detailing. 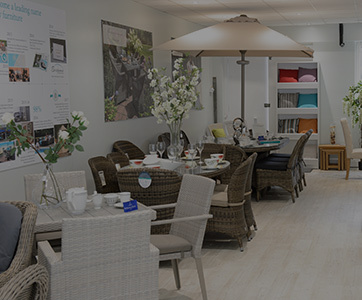 Having already established a network of trusted retailers, we secured valuable floor space in garden centres throughout the UK and Europe. 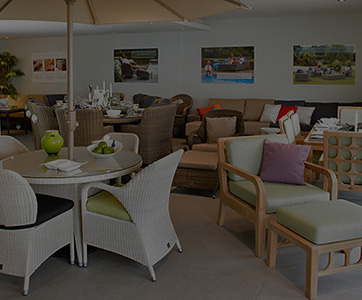 Spurred on by this success, in 1990 we focused all of our attention on becoming the UK’s leading supplier of luxury garden furniture and started showcasing all of our new designs at the RHS Chelsea Flower Show, which we still attend 27 years later. 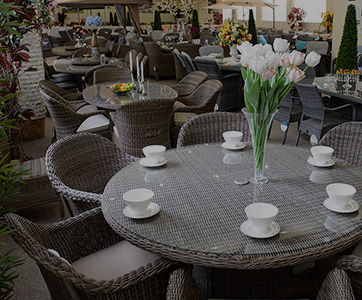 The most notable product collections in these years include being the first UK Company to supply Rattan garden furniture in 2001 and also the first to supply fully waterproof cushions in 2011. Peter and Howard still work in the business and oversee the running of the company accompanied by Peter’s two sons, Robert and Alex. 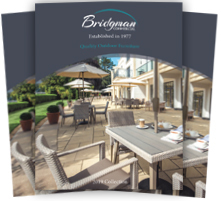 This has allowed Peter’s appreciation for fine design, good craftsmanship and unrivalled service to be passed down to the 3rd generation of Bridgman’s.